Artichokes have been shown to improve various digestive health disorders (irritable stomach, nervous gastropathy, flatulence, and irritable bowel syndrome), and significantly lower blood cholesterol levels. They also prevent heart disease and atherosclerosis, enhance detoxification reactions, as well as protect the liver from damage. They've been proven to be a safe, non-toxic (meaning NO side-affects) method of preventing and treating high cholesterol. Artichokes are packed with antioxidants, making them incredible defenders against cancer, aging, heart disease, and illness. They boost the immune system and while lowering cholesterol. They are packed with vitamins, minerals, and phytonutrients. Simply put, they're powerful health protectors with wonderful taste that adds sparkle to all sorts of dishes. Not to be confused with the Jerusalem artichoke or the Chinese artichoke (neither has any relation to the common globe artichoke), the vegetable is native to the Mediterranean. But Castroville, Calif., where three-quarters of all the artichokes grown in the state are harvested, proclaims itself the "Artichoke Center of the World." Eat the tender ends of the leaves after boiling or steaming -- though the best part is the flavorful heart. From simply steaming artichokes and serving them with melted butter to stuffing these uniquely-shaped veggies with a flavorful breadcrumb filling, there are so many ways to include artichokes in your meal planning. Here are five amazing ways to eat fresh artichokes. The simplest approach is to just steam them on the stove top until tender. 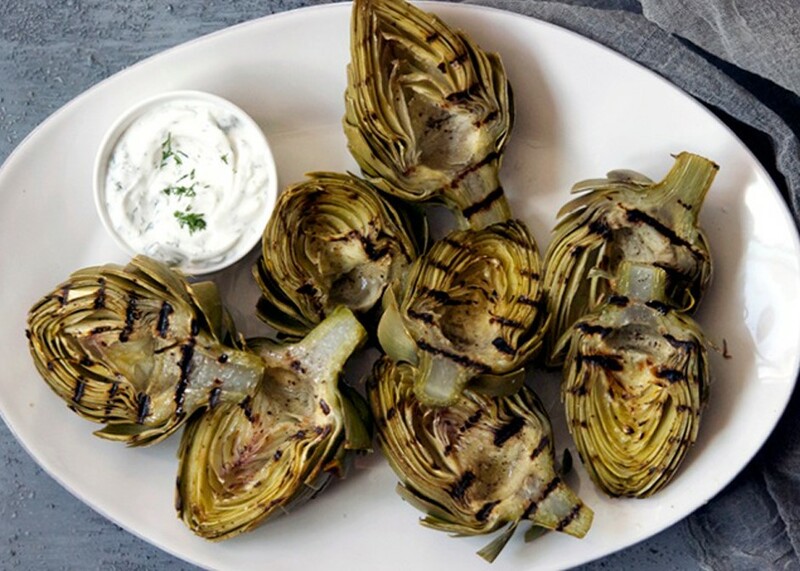 Serve with melted butter or warm olive oil, dipping each leaf and using your front teeth to scrape the flesh into your mouth, until you get to the artichoke heart. Use a fork to spear it into your mouth. 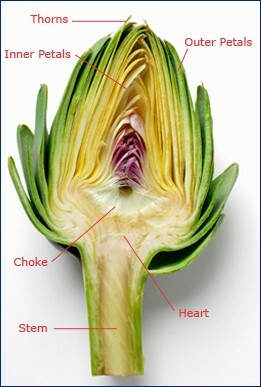 Artichokes are also delicious grilled or braised. But if you're in a hurry to get a meal on, canned artichoke hearts work well also. We love adding them to our pizza toppings. And when chopped, they make a superb addition to any tossed salad. A friend included them in her traditional 3-Bean Salad and wow, what a flavor combination! Now here's a recipe Aunt Annie served prepared for special occasion breakfasts (Easter or our birthdays, especially). 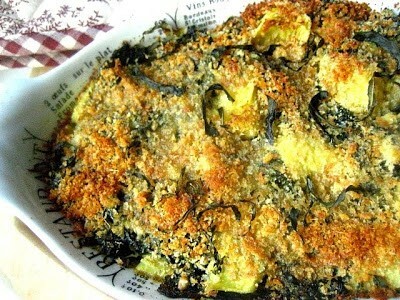 Do you have favorite recipes for artichokes? 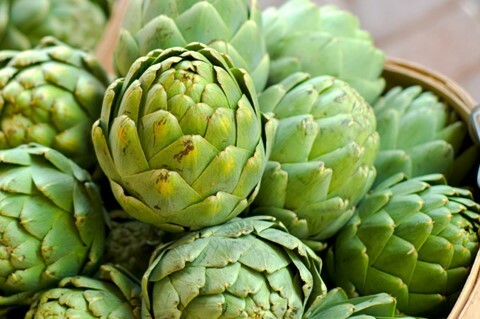 We'll want to start collecting them-they're so many reasons to be eating artichokes! Preheat oven to 350 degrees. Sauté red pepper and onion in olive oil 5 minutes; add garlic and continue cooking 2 to 3 minutes. Add spinach, cream cheese, and sour cream. Combine and heat until blended. Stir in artichoke hearts and sun-dried tomatoes. Pour into lightly sprayed 9x9-inch pan or 1-quart gratin dish. Combine cheese, bread crumbs, and paprika. Sprinkle evenly over spinach. Bake 30-40 minutes or until golden.